The Vehicles of the 4th Canadian Armoured Division, of which the Lake Superior Regiment was a part, can be seen here crossing a pontoon bridge over the Seine river near Elboeuf, France, 28 August 1944. Photo courtesy of National Archives of Canada PA-113662. 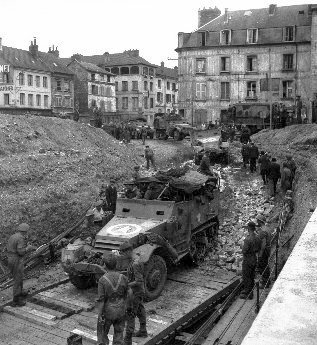 A Canadian convoy advancing through Fontenay-le-Marmion, France, 14 August 1944. Photo courtesy of National Archives of Canada PA-113657. The Universal Carrier of the Lake Superior Regiment (the 4th Canadian Armoured Division) at Cintheaux, France, 8 August, 1944. Highly mobile, these carriers ran ahead of the heavier armour, clearing the way. Thus they were often first into battle. 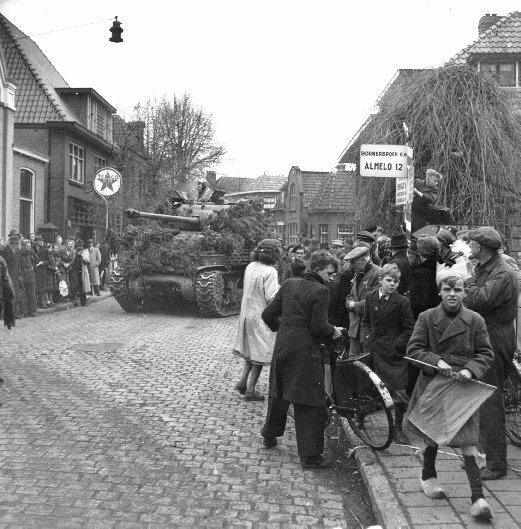 They were the outstretched arm of the armoured division. Photo courtesy of National Archives of Canada PA-113651. Photo courtesy of National Archives of Canada PA-113691. The “Sherman” tanks of the 4th Canadian Armoured Division crossing the Twenthe Canal near Almelo, Netherlands, 4 April 1945. The Lake Superior Regiment was heavily involved in the capture of Almelo. Photo courtesy of National Archives of Canada PA-113690. 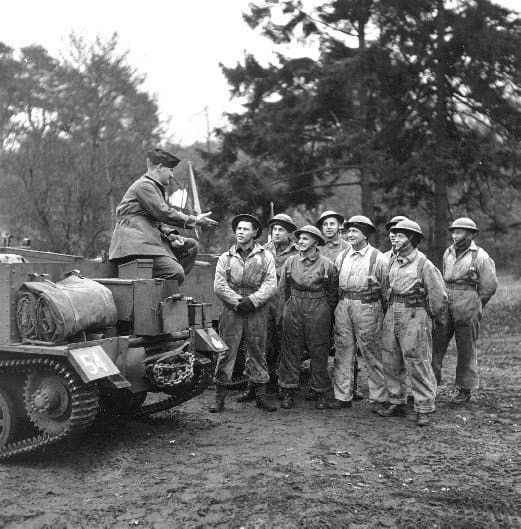 In this obviously posed publicity photograph, Lieutenant Roy Styffe of the Lake Superior Regiment instructs Universal Carrier crews at Aldershot, England, 25 November 1942. Photo courtesy of National Archives of Canada PA-113642. The Officers of the 96th District of Algoma Battalion of Rifles in the 1880s or early 1890s. 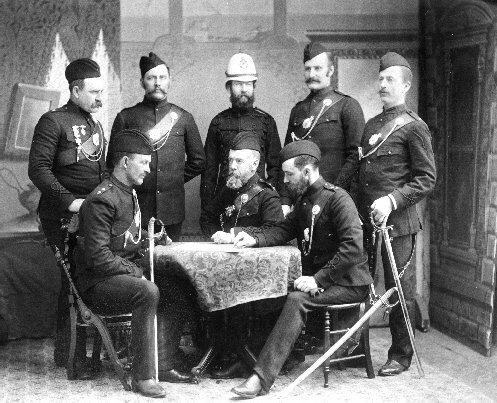 Col. Samuel Wellington Ray is the man with the beard seated at centre. Officers had to buy their own uniforms, which accounts for the mixture of styles demonstrated here. Photo courtesy of The Thunder Bay Historical Museum Society. 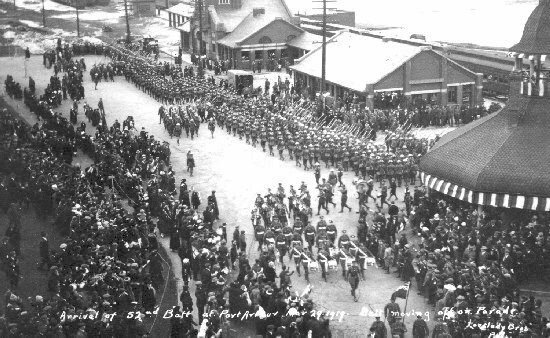 The arrival of the 52nd Battalion, the Lake Superior Regiment, at Port Arthur, 29 March 1919. Having just returned from overseas, they are greeted here by a large contingent of well-wishers.